NBA power forward/center known for his three-point shooting as well as for constantly jabbing and complaining to referees. 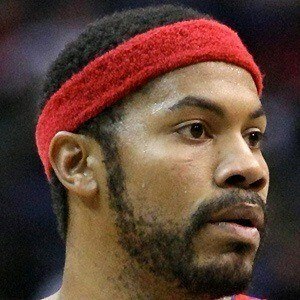 He played for the Portland Trail Blazers for eight seasons and helped lead the Detroit Pistons to an NBA Championship in 2004. His University of North Carolina reached the final four in 1995, his final year with the team. He was then drafted 4th overall by the Washington Bullets after the season. He received 41 technical fouls during the 2000-01 season. He married Fatima Wallace in 1998, and the couple has 4 children together: sons Ishmiel, Malik and Nazir and daughter Rashaya. NBA star Jerry Stackhouse was his teammate at North Carolina.